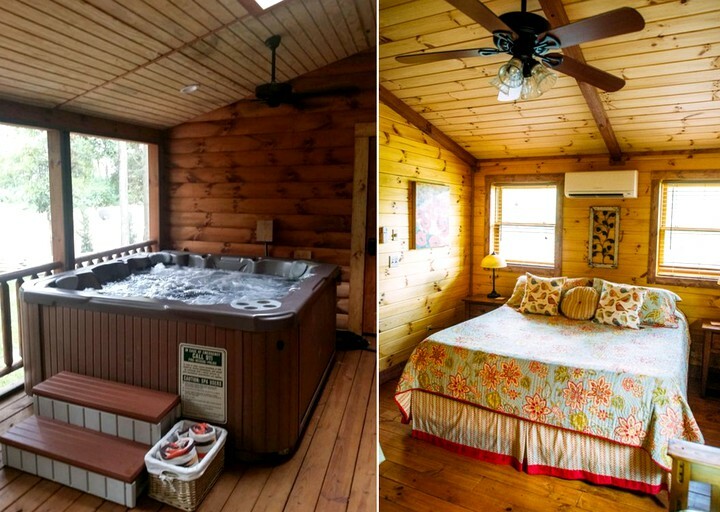 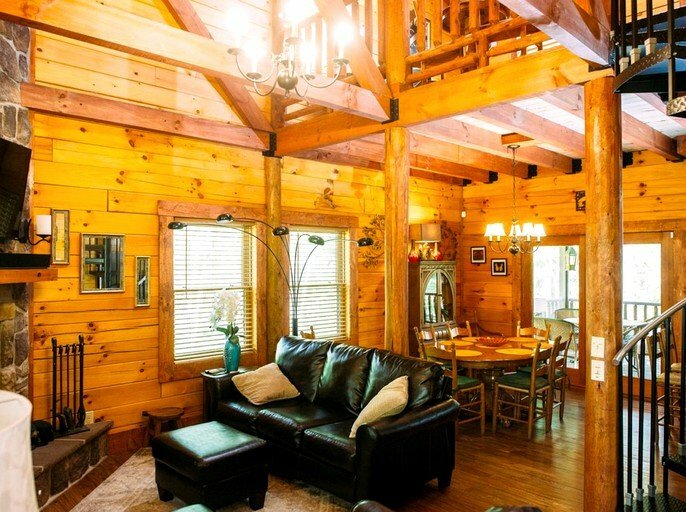 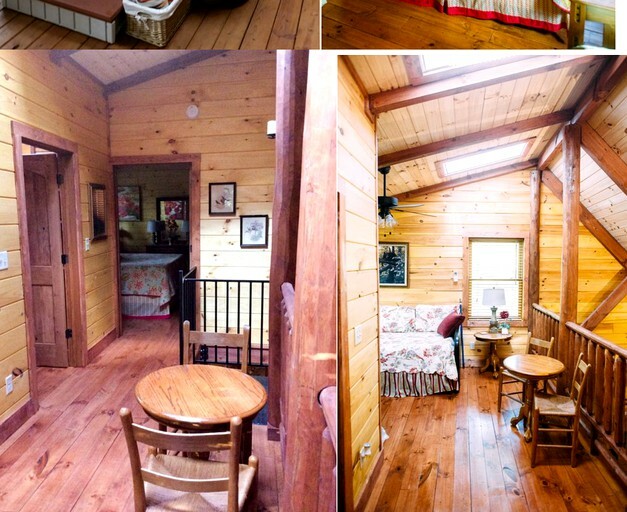 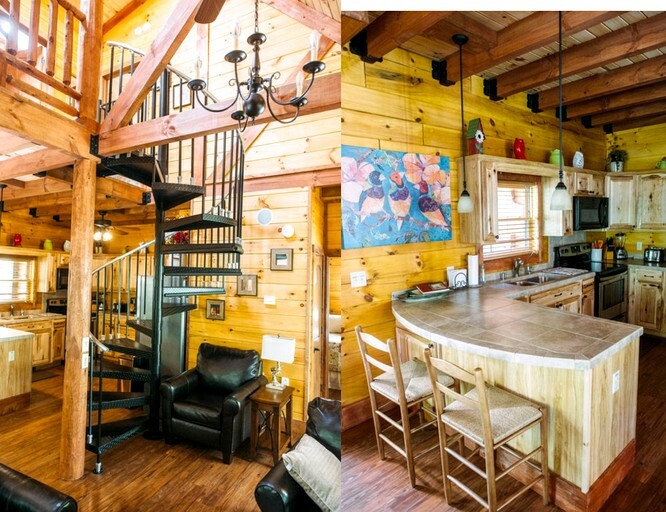 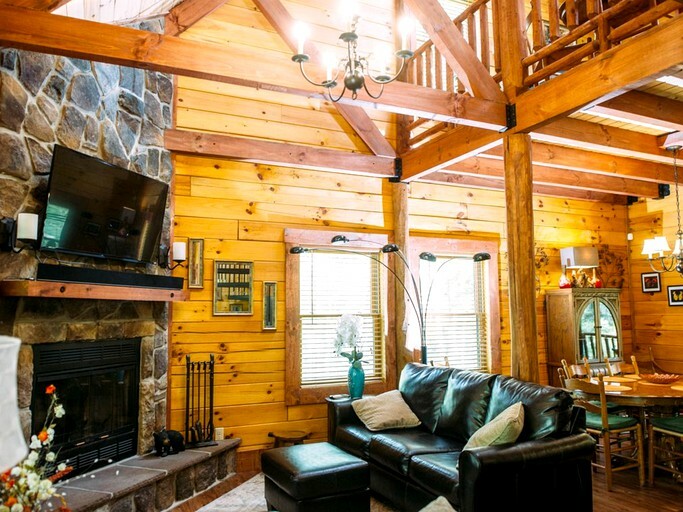 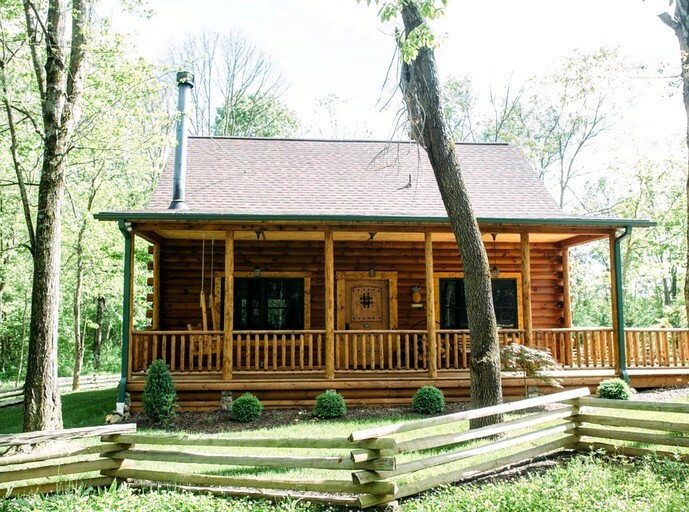 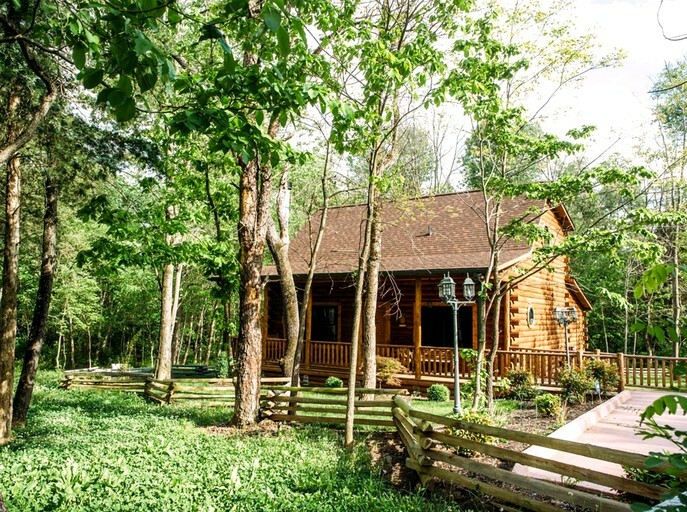 This homey log cabin can be found ideally located near the Shenandoah National Park in Virginia and can accommodate up to eight guests in total. 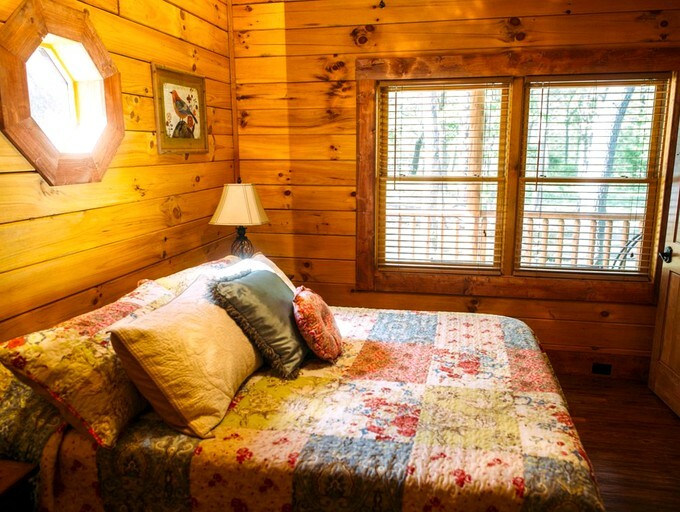 The downstairs master bedroom offers a queen-size bed and its own bathroom, while the upstairs bedroom is fitted with a king-size bed and two twin-size beds. 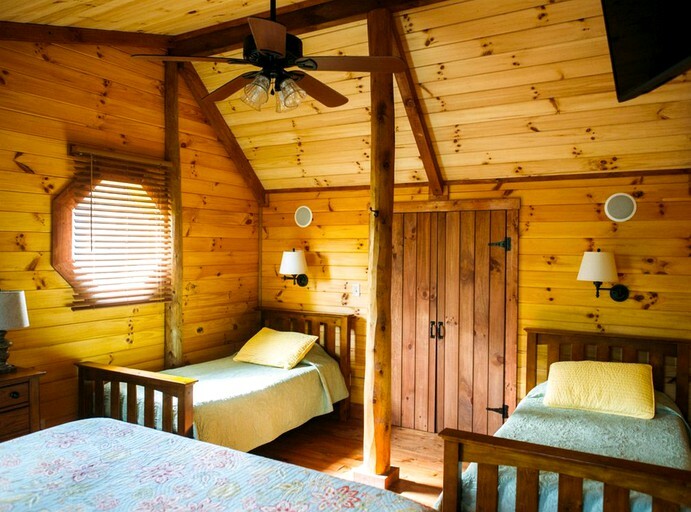 There is also a loft area that offers two more twin-size beds and a twin-size day bed with a trundle. 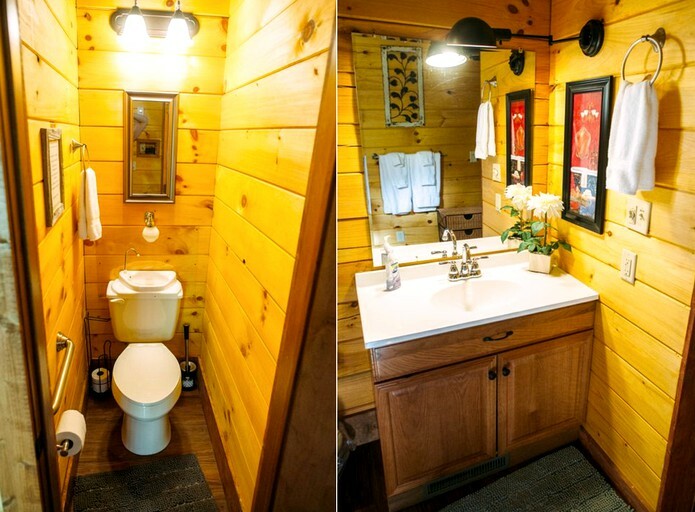 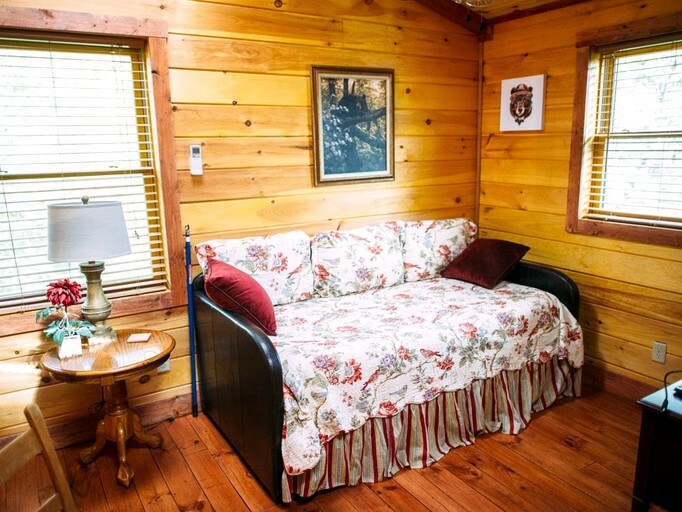 The first level of the cabin is handicap accessible for guests' convenience. 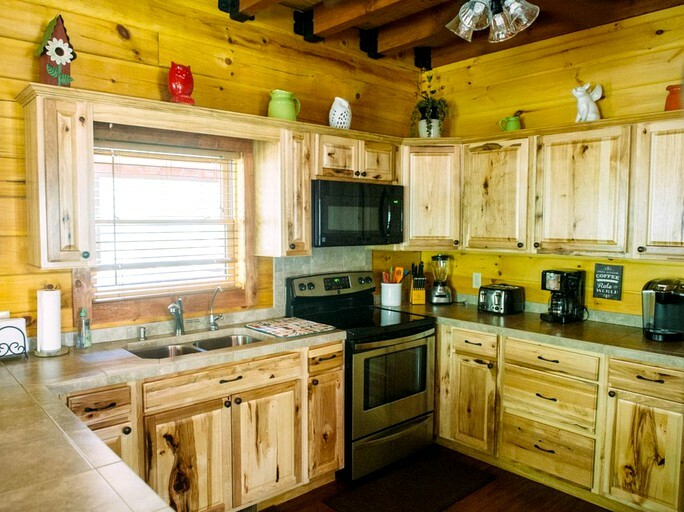 Glampers will have no trouble cooking up a storm in the kitchen that offers a purified osmosis water filtration system, plenty of brand new appliances, along with a dishwasher, microwave, radiant glass top stove, porcelain tile countertops, and a breakfast bar. 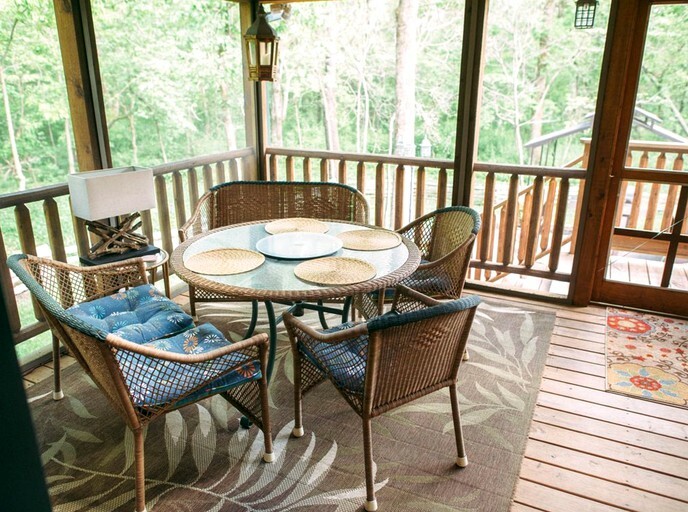 Guests will find the rental equipped with a wide range of luxury amenities to ensure they can relax in style. 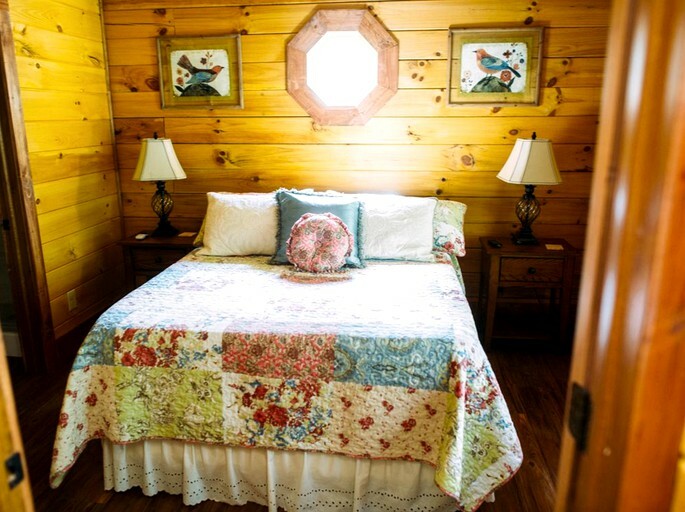 The hosts provide designer quilts, linens, and towels. 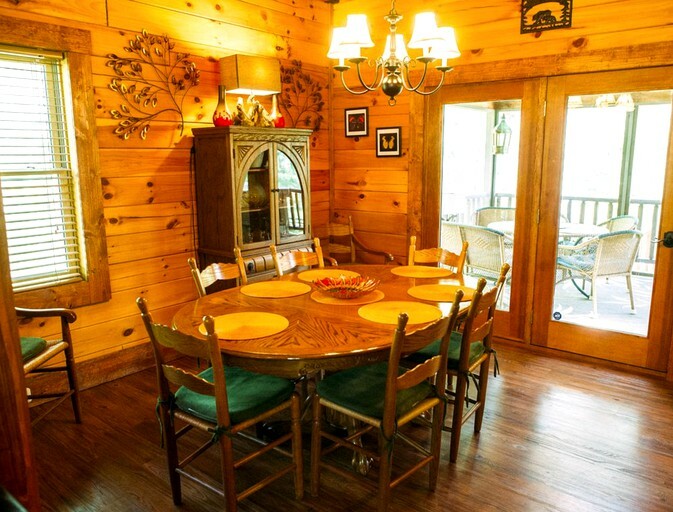 There is also Wi-Fi to allow guests to stay connected during their getaway. 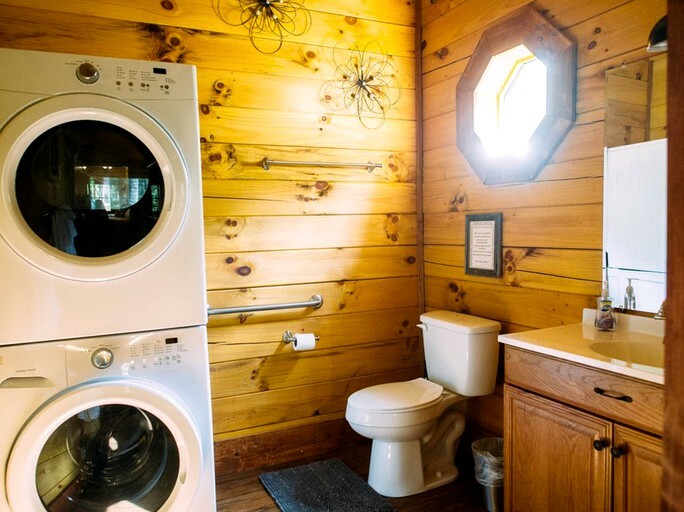 For entertainment, there is and Xbox and a Bluetooth home stereo with XM Satellite radio. 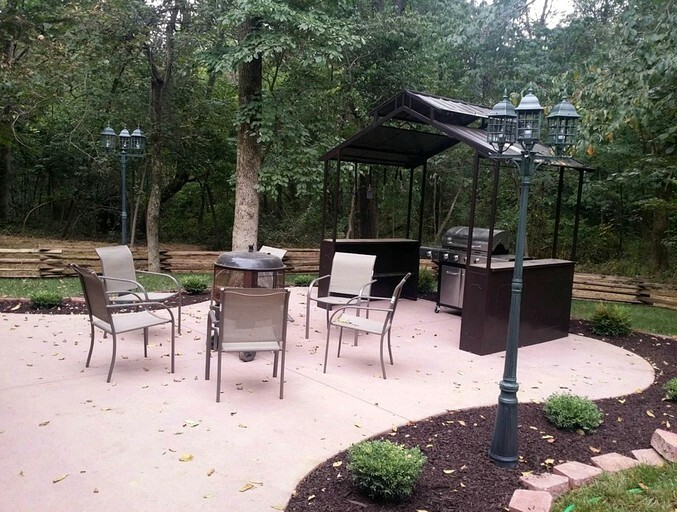 Hot tub, fire pit and gas grill are located on the property. 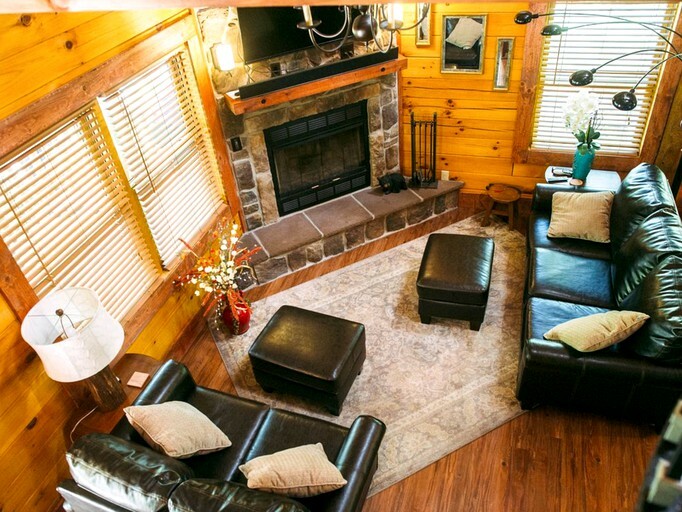 Wood burning fireplace indoors.